Bluegrass going rock and metal is not necessarily a brand new thing, with Hayseed Dixie discovering how well bluegrass and rock go together back in 2001 and Iron Horse releasing 12 albums between 2001 and 2009 where they pay tribute to the likes of Black Sabbath, Metallica, Black Label Society and more. This does not change anything in the fact, though, that new Finnish sensation Steve’n’Seagulls is the new rage on the internet, with their bluegrass cover of AC/DC’s “Thunderstruck” going viral and having racked up over 11 million views on Youtube by now (and with the accordionist arriving on a sit-on lawnmower and the use of spoons, a wrench and an anvil made it a cult video from the get-go). 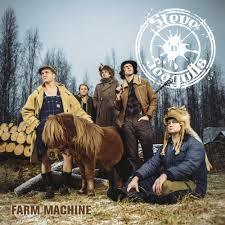 And what began as a loose fun project in a barn in Finland now has spawned its first full album, Farm Machine, out via Spinefarm Records. While it seems to be a new thing to cover metal songs in genre-foreign styles, a whole album is something that hasn’t been done all that often yet and quite frankly, not in this cohesiveness and quality. 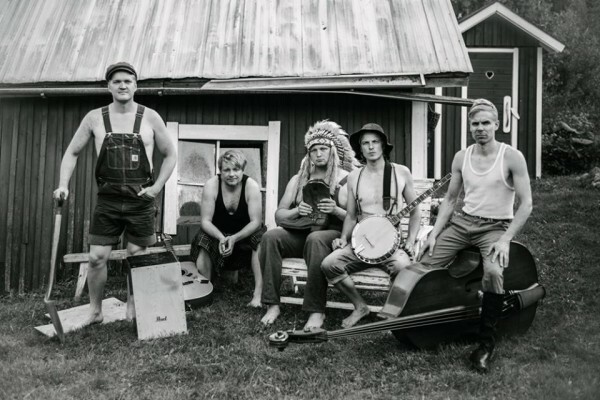 The lead banjoist shreds, as can be seen (and heard) in the video of “Thunderstruck”, but Steve’n’Seagulls manage to make this very diverse collection of songs one cohesive whole and that is what makes Farm Machine so successful. A quick rundown of the covered artists uncovers a who is who of rock and metal, with Led Zeppelin, AC/DC, Iron Maiden, Rammstein, Guns N’Roses, Metallica, Gary Moore, Dio and Pantera and the very earthy, analog sound fits the bluegrass to a “t”! The toned down approach works really well with these songs, which allows the listener to focus more on the song itself (and in the case of AC/DC actually the lyrics are perfectly intelligible now) and could allow this album to act like some sort of gateway for non-metalheads to discover some of metal’s finest. Where the banjo usually is used as the lead instrument, the accordion would take over the role of the rhythm guitar more than once, with the other instruments playing their usual roles. 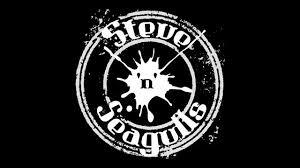 Some may view Steve’n’Seagulls as a gimmick, but in all honesty, if a band manages to distill the essence of a fairly diverse group of rock and metal songs and transplant it into a style that is quite different and make it work and on top of that make it all sound like a cohesive unit, it is way more than a gimmick, and these guys have the musical chops to back it up. Both thumbs up! This entry was posted in Featured Review, Reviews and tagged 2015, 9, AC/DC, banjo, bluegrass, cover version, dio, featured, finland, Gary Moore, Guns N’Roses, iron maiden, Led Zeppelin, Metallica, Pantera, Rammstein, Spinefarm, steve'n'seagulls, viral. Where can I buy the album?